Graham Wright has been a continuous voice on the airwaves of professional radio stations across the East Midlands for over twenty seven years - from Leicester Sound in 1986 through to BBC Local Radio in 2014. His main role has always been as a radio presenter - not only presenting programmes which showcase his knowledge and enthusiasm for a wide range of popular music, old and new, but also hosting more speech based shows. Countless guests have been interviewed in the studio or on location - ranging from nervous local charity event organisers to celebrities such as Beverley Knight, Amy Grant, Bill Oddie, Status Quo, Esther Rantzen, Gilbert O'Sullivan, Hayley Westenra, MPs Roy Hattersley and Alan Duncan - even the Archbishop of Canterbury! 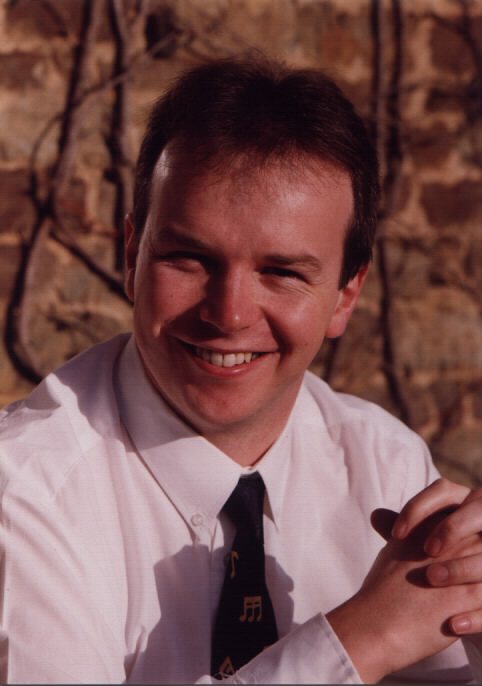 But Graham has also worked as a news presenter and journalist, roving reporter (in 2008 even broadcasting “live” from the deck of the QE2 on Guernsey’s Island FM! ), discussion show host, features editor, creative writer, media trainer, researcher, producer of general and award-winning religious output, station ID producer, commercial producer and voiceover – with a wide repertoire of vocal styles. Over the years he’s helped Rutland Radio win the Radio Academy "Nations and Regions" East Midlands Radio Station of the Year Gold Award for SIX years running (2003 to 2008), get them nationally nominated for Radio Station of the Year at both the 2000 ntl Commercial Radio Awards and 2004 Sony Awards, and WIN the accolade of ntl Commercial Radio Station of the Year 2004. 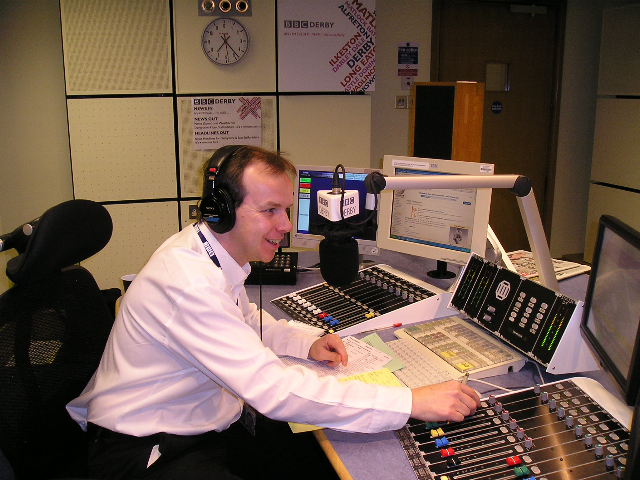 After Graham became their Sunday morning Faith & Ethics presenter early in 2011 BBC Radio Derby was runner up in the Faith Programming category at the 2011 Frank Gillard Awards. Behind the scenes Graham has worked as a scheduler of music and commercials using Selector, Powergold and Broadnet and is used to operating state-of-the-art digital playout and editing systems like RCS, EncoDAD, Genesys, Radioman, Rivendell, Adobe Audition, Sadie, Garageband, Newsroom, Myriad & Remote VT.
To enquire about Graham's availability to work with your station please email enquiries@grahamwright.org.uk. Anyone tuning in to Graham will discern his key interests as music, going to concerts (primarily classic rock), real ale & traditional pubs (being a long time CAMRA member), local cinema, Ordnance Survey maps, collecting 7" singles (new & old) for his jukebox, playing the piano (badly! ), cycling, boating (Graham is working with groups aiming to completely restore and reopen the Grantham Canal), cycling to pubs, visiting pubs by boat, pub walks, etc, etc .... plus his beloved Rover 75 (when NOT visiting the pub!). He is a member of Nottingham Writers' Club. As a radio listener his usual choices are Planet Rock or, when in mellow mood, internet favourite Solid Gold Gem AM - a station on which Graham has now become a weekly presenter (see below). His all-time favourite singer is Frank Sinatra - particularly the Capitol Records era recordings! Graham's interest in radio started as a young boy in West Yorkshire - putting together mock music radio shows with his best friend using a record player and a portable cassette recorder in his bedroom - to be inflicted regularly on his parents! But his interest found a wider audience when, as a student, he became involved with Nottingham Hospitals' Radio at the Queen's Medical Centre. As well as presenting two weekly shows - one of them being being a rock show called "Shockwave" (aimed at all "hospital headbangers!") - he served as both news editor and programme controller. 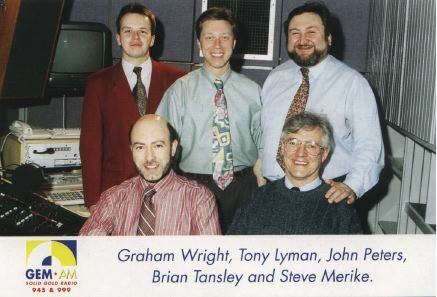 Graham's first paid radio job was in November 1986 when he moved to Ruddington in Nottinghamshire and joined Leicester Sound as one of the presentation team for its new "Careline" service. A year later he found himself working behind the scenes at sister station Radio Trent in Nottingham before being finally allowed "on air" as a fully fledged music radio presenter when East Midlands gold station GEM-AM was launched in October 1988. During this time he graduated from overnight shows, to Early Breakfast, to Lunchtimes - as well as becoming producer of the Tony Lyman Breakfast Show and many radio commercials for the GWR group. Voiceover work also became part of Graham's portfolio. Sadly all good things usually come to an end. A management decision was taken to "network" more and more of GEM's output with other Classic Gold stations in March 1998 leaving Graham (and many other long established presenters) with no job. However this story has a happy ending because, 14 years later, a re-launched internet version of Solid Gold Gem AM, based on the original winning format featuring those classic jingles and some original presenters (now including Graham*) went back on-the-air! Meantime let's go back to 1998 - when Graham spent an enjoyable eight months working at new East Midlands Station Radio 106FM (which became 106 Century FM, then Heart 106 and is now GEM 106) as a regular weekend and freelance cover presenter, as well as producing their daily "Time Out" Entertainment feature. To put names to the faces, and to view the rest of Rutland Radio's Tenth Birthday Reunion photos, please click here. Out of vision, back at BBC Radio Derby, Graham began to host his own weekly show in May 2010 - then also started presenting their Sunday Breakfast Show. 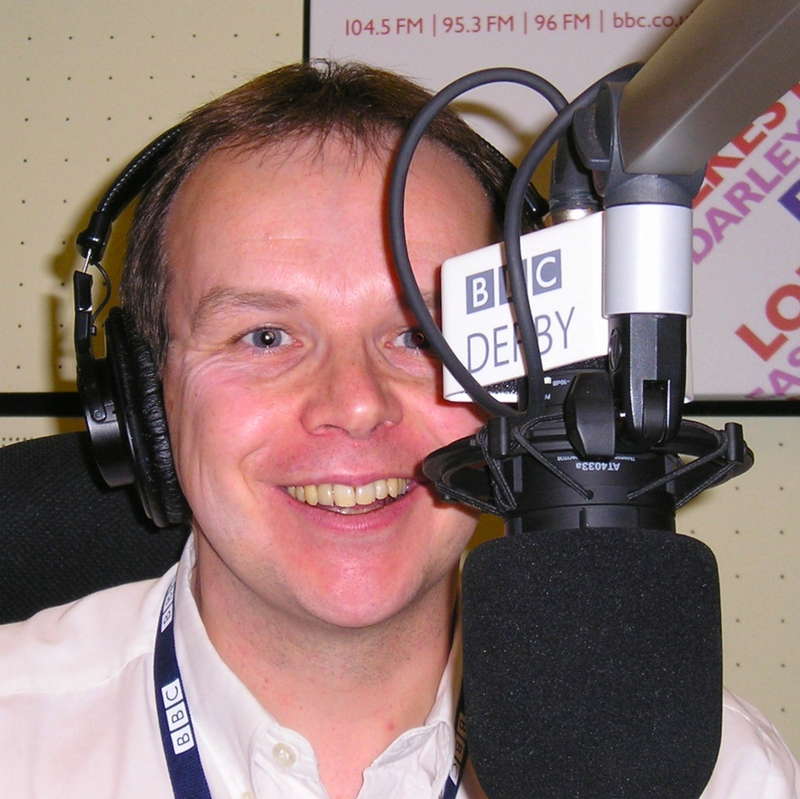 From September 2012 to August 2013 he went full-time at BBC Radio Derby to host the networked regional weekday Early Breakfast Show - which could also be heard daily from 5am on BBC Radio Nottingham and BBC Radio Leicester. 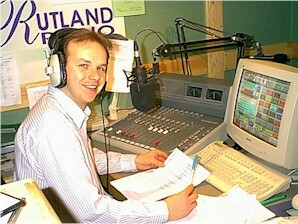 Graham has now returned to being a cover presenter for BBC and ILR stations in the East Midlands. In parallel with his "live" broadcasting work Graham is Managing Director of media company North Point Productions Ltd which he launched in April 2011 to provide cost-effective creative audio solutions, such as voiceovers or complete radio commercial scripting and production. Part of its web site includes an audio page showcasing the work of East Midlands writers and poets, which can be heard here. Among other projects his company has filmed and produced Action Learning web site video content for Skills for Care, run media training sessions in Holland for APM Terminals, worked with Rosemary Conley in providing audio and technical support for the Media Archive for Central England video "Made in Leicester" and in 2014 produced Photomercials for Media Hub Create to help promote Ruddington Reach. 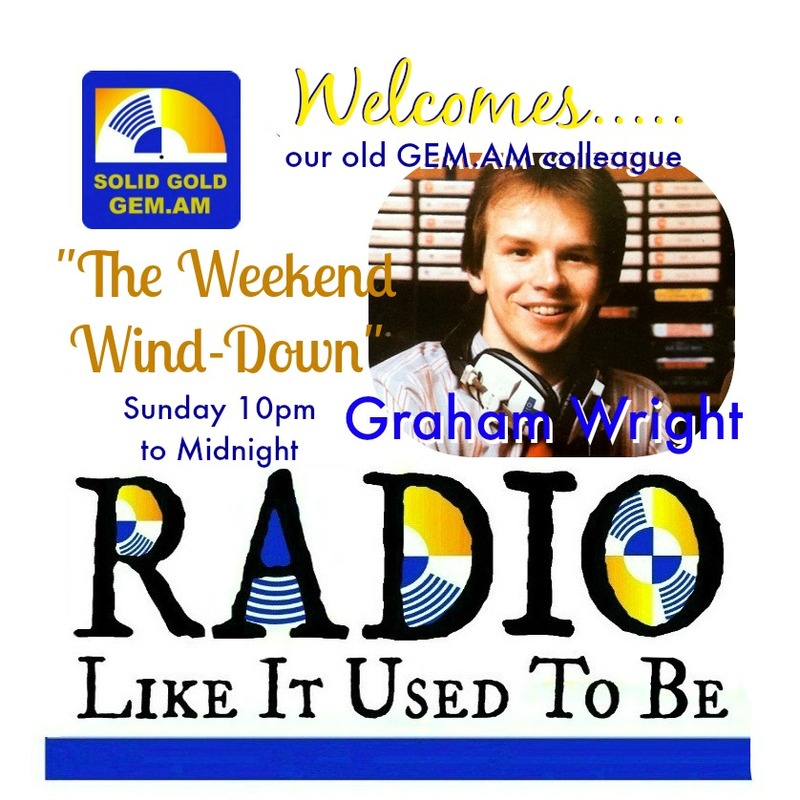 *Since July 2014 Graham has also been presenting a Sunday night show for Solid Gold Gem AM - a relaunched version of the radio station where he hosted his very first own professional radio programme back on the 9th of October 1988. Thank you for visiting - and please come back soon for further updates! The email address for Graham Wright is enquiries@grahamwright.org.uk. He will reply as quickly as possible to all genuine emails received.